Aval or Rice flakes is flattened rice which is used to make a lot of snacks which is easily digestible.It is Lord Krishna's Favourite snack too.Aval Payasam is made during Krishna Jayanthy(krishna's birthday).Aval cooks really fast so the payasam also is simple and fast one. Heat a thick bottomed pan add one tbs of ghee and fry the broken cashewnuts till golden brown and keep it aside. Add one more tbs of ghee and fry the aval till light brown so that it does not get soggy when cooked. Add the milk and boil till the rice flakes are cooked and simmer till the milk gets thickened. When it becomes thick add the sugar and heat further.Add edible camphor and cardamom powder.Mix well and garnish with fried cashewnuts. Add milk if it becomes too thick.Adjust the sugar according to your taste. Picture perfect!!! 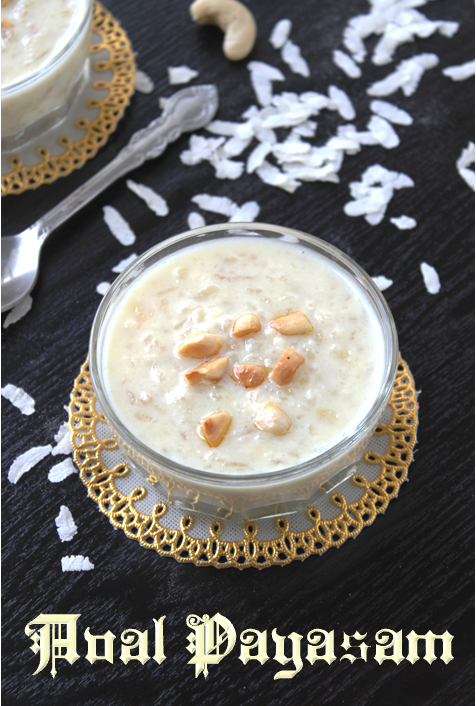 Love this delicious payasam!! 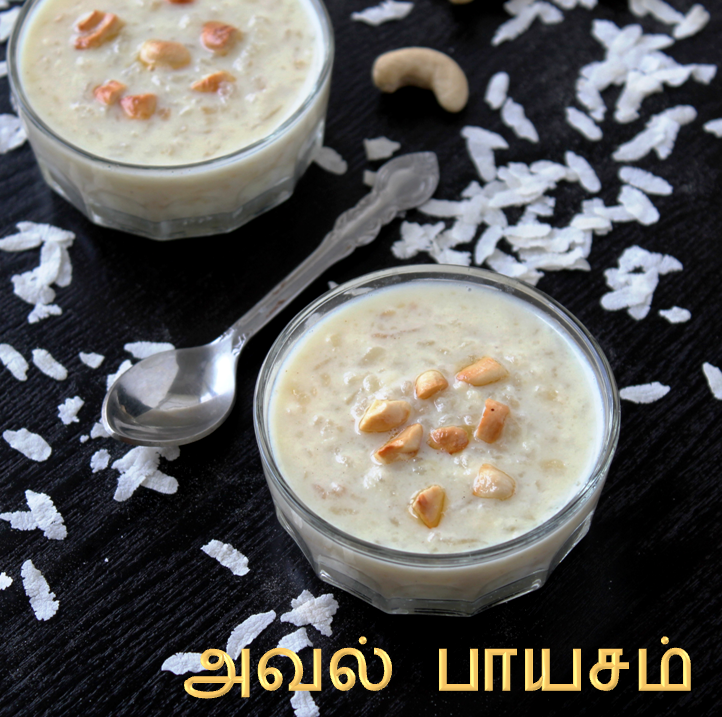 Can you believe it, I just made the same thing yesterday for my niece who demanded that I make some payasam for her. Looks delicious. Thank you renu,shanti and srimathi! This recipe came out very good. Skipped the nuts, as I am allergic. I used brown aval, me and my daughter had it for breakfast. Perfect hot cereal, without preservatives, chemicals.